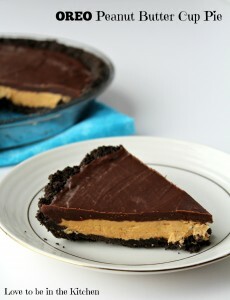 A delicious Chocolate Peanut Butter Pie that resembles peanut butter cups. 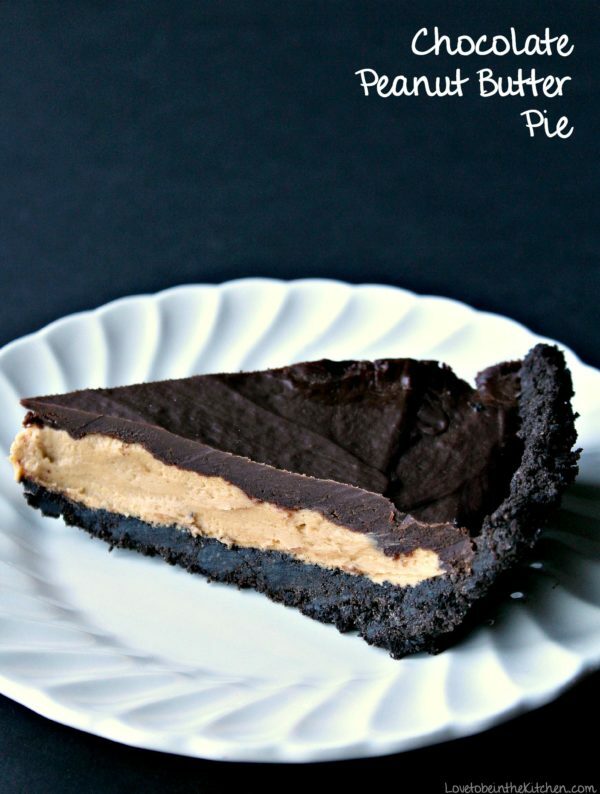 This pie is easy and quick to make and can be made days ahead! I am so excited to share this amazing recipe with you guys I’m posting it on a Saturday! And I never do that so you know it’s good! I made this pie this last week and was amazed with how fast I was able to make it and how quick it was ready! Another great thing about this pie is it can be made days ahead of time! That makes your Thanksgiving a lot less stressful. I’ve had this in my fridge for a few days and it tastes just as fantastic as right when I first made it. I shared this pie with some of my family today and they went nuts over it and insisted I make it for our early Thanksgiving dinner tomorrow so I just doubled the recipe and made two of them. The recipe is so easy I made it from memory without looking at how I wrote down the recipe. I know it’s going to be a huge hit tomorrow! This pie is ridiculously easy. Especially for how amazing it tastes! 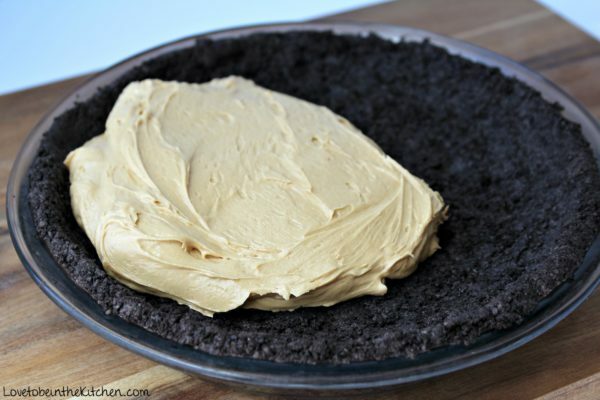 First, you start off with an Oreo Pie Crust. You all know that makes pie extra delicious! Feel free to buy store-bought but I always make my own homemade Oreo Pie Crust because it’s crazy easy and extra yummy! Next step is to mix together the ingredients for the peanut butter layer. All you need is peanut butter, butter, powdered sugar and vanilla. As you mix it together it becomes creamy, smooth and lighter in color. While that is chilling you make the chocolate ganache. Just add chocolate chips and a little peanut butter to a bowl and add warm cream. Let it sit then stir until smooth and spread on top of the pie. Easy right?! Once that chills and is set, get ready to dig in and enjoy one of the best pies of your life! Not only does it taste amazing it looks amazing too! 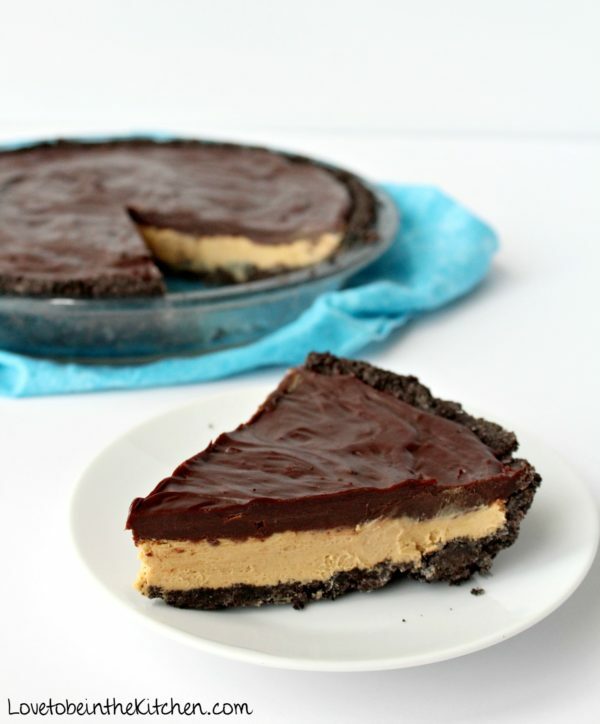 It’s like a giant peanut butter cup but so much better! In a large mixing bowl or bowl of a stand mixer, mix together the peanut butter, powdered sugar, butter and vanilla extract until combined. Continue to mix on medium speed for 1 minute, until mixture is smooth. Add the mixture to the Oreo Pie Crust and spread evenly using a spatula or knife. Place in the freezer for at least 10 minutes. Meanwhile, make the chocolate ganache. Add the chocolate chips and peanut butter to a large heat proof bowl. Warm the heavy whipping cream by adding it to a saucepan and bringing it to a rolling simmer over medium-high heat. Pour the cream over the chocolate chips and peanut butter and let sit for 5 minutes. Then whisk until completely smooth. (If needed microwave for about 15 seconds to smooth out any lumps.) 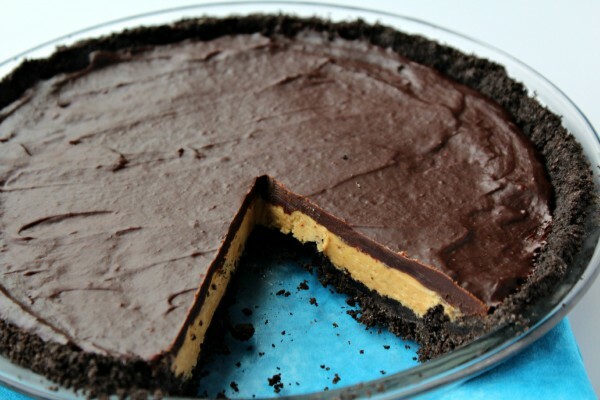 Pour over the peanut butter layer and spread evenly. Then let chill in the fridge for at least an hour or until ready to serve. (Or freeze for 15-20 min.) Keep leftovers in fridge. Oh my goodness!! 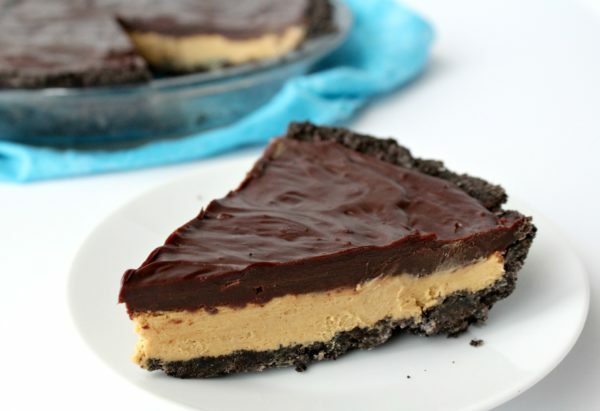 Peanut butter and chocolate is my favorite! This is amazing! Pinning!!! This combines two of my favorite things! Definitely pinning to try in the future! Yum, this looks amazing! Can’t wait to try it, I love simple and delicious recipes!